It could be considered one of the earliest relationships ever to have existed on earth. That between body and soul. The primeval bond that has endured right from the outset of man’s existence. One would assume that he would have gathered a comprehensive understanding of this relationship by now, after all, he has had enough time to do so. Yet the debate is just as potent today as one can imagine it having been back then, and there seems to be no conclusive end in sight. In this article, we examine the relationship between body and soul as expounded in Fatimi philosophy from a variety of angles. To begin with, it is useful to cite one of the many analogies employed in Fatimi philosophy to illustrate the bond between body and soul. It would be prudent here to note that the oyster’s worth is not consistent throughout. 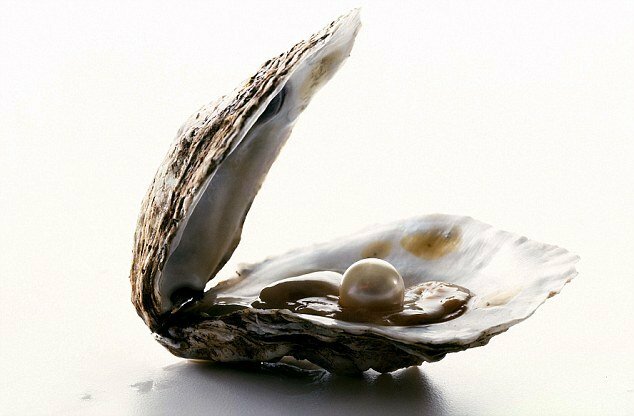 During the formative stages of the pearl, the oyster is much more integral, even indispensable to the proper development of the pearl, just as it becomes useless to the pearl once fully formed. This analogy speaks volumes about the relationship between the human body and soul. It tells us that there is a deep rooted interdependence between the two despite the very apparent difference in worth. The soul cannot realise its potential without the aid of the body, much like the body cannot fulfil its purpose in existence without the soul. The two are hemmed together for better or worse. It also tells us that the bond is transient and there comes a time when it must of necessity be broken, after which there is independence. This coexistence between the two however gives rise to an age old dilemma. Religion, predominantly calls towards the soul and away from the flesh, and in extreme cases leads towards asceticism. But in an interdependent situation such as the one under discussion, the depletion of body would undoubtedly have an effect on the soul during the formative stage. Which is why Fatimi philosophy and jurisprudence call towards a balanced approach. To each its own. As explained by Syedna al-Muʾyyad al-Shirazi RA in one of his discourses, that the soul has its own specific requirements just as the body has its own. Enlightenment and knowledge, which are the soul’s sustenance can never alleviate the hunger of an empty stomach just as conventional food can never sate the intellectual cravings of the soul. This balance features prominently in the beliefs and practices of the Dawoodi Bohra community that seeks to adhere to Fatimi philosophy and jurisprudence in all its undertakings. The narrative of Uthmān bin Mazʿūn as related in the Daʿāʾim al-Islam is an apt depiction of how a balanced appreciation of bodily pleasures is not only permitted, but warranted by a proper adherence to Islam. In what is a lengthy account of an exchange between Uthmān bin Mazʿūn and the Prophet Mohammed SAW, Uthmān voices his concerns about the salvation of the soul and how he sees a complete eschewal of bodily pleasures, even those permitted by Islam, as a fit way to live on earth. The Prophet SAW ensures Uthmān that bodily pleasures when enjoyed as prescribed by Islam, are not a detriment but a benefit to the soul. The Bohras today attempt to strike the difficult balance between both spheres. They can be seen attending religious ceremonies and intellectual discourses with as much vigour and enthusiasm as the delectable meals that follow. They pay as much attention to the morality and health of the soul as they do to the health and fitness of the body. They consider the profound and pithy questions of the origins of creation and the relationship between body and soul, but pause now and then to check the score of World Cup matches and Wimbledon fixtures while taking a peek at their Twitter accounts and Youtube. From health camps and sporting tournaments which promote physical wellbeing, to the unwavering theological dedication which nurtures the soul, the Bohras aim to facilitate a harmonious and mutually beneficial relationship between body and soul. Until the ultimate and inevitable onset of death, which as described by Imam Ahmed al-Mastur AS in the Epistles of Ikhvān al-Safāʾ, is nothing but the soul forsaking the use of its bodily instrument, at which point the pearl stands alone. Unfettered and unhindered. No longer in need of its corporeal counterpart.